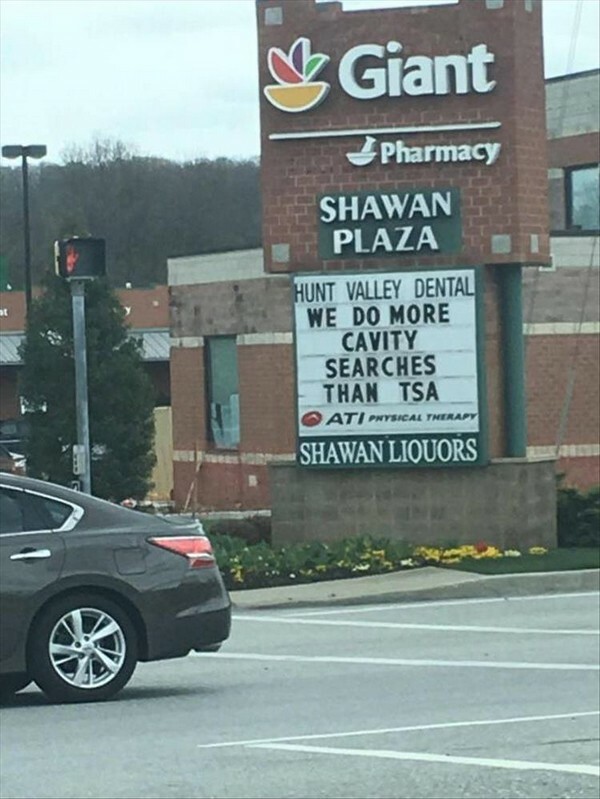 I don’t think the dentist really thought that one through. Is Michael Hunt out in the parking lot? Uh, he’s talking about different cavity searches, right? RIGHT? I can’t speak for the dentist, because going to a dentist in a strip mall sounds like a bad life choice to me, but there is an excellent liquor store there if you need to pre-anesthetize. It does pertain to the liquor ad though.